We were thrilled to host Lisa Damour, Ph.D., on November 14, 2018. Dr. Damour is the author of the best-selling book Untangled, Guiding Teenage Girls through the Seven Transitions into Adulthood. 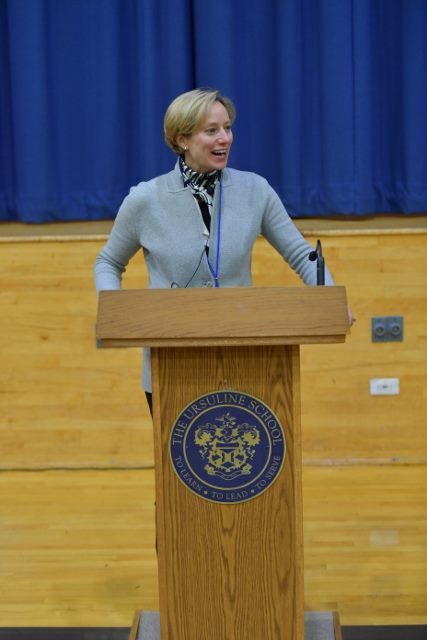 Dr. Damour spoke to our school community at several separate sessions during the day, and in the evening she presented to parents from our school as well as neighboring schools. 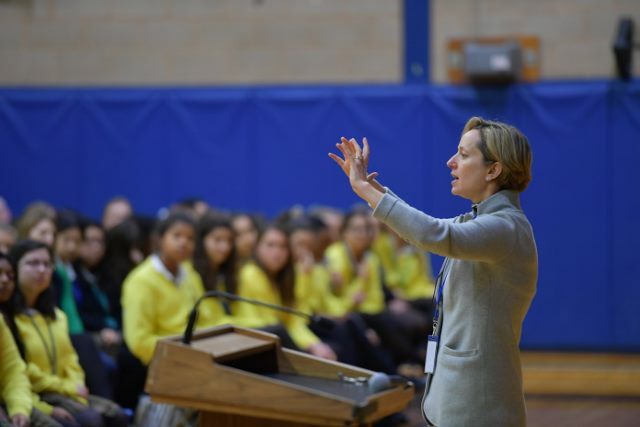 In addressing our high school students, Dr. Damour spoke of the long intellectual work out that high school represents and the need for personal recovery strategies in order to go on to the next day’s “work out.” With our middle school, Dr. Damour explored the types of healthy and unhealthy ways to deal with conflict. Our faculty and staff benefited from a special session in which Dr. Damour detailed the predictable pattern of teen-age development. Parents very much enjoyed and appreciated the evening session with Dr. Damour. She illustrated each of the seven stages of teen transition with realistic examples backed up by research. Dr. Damour specifically provided advice on how to engage with daughters in smart, constructive ways. We thank Chris Pope of Chris Pope Photography for the photos above. 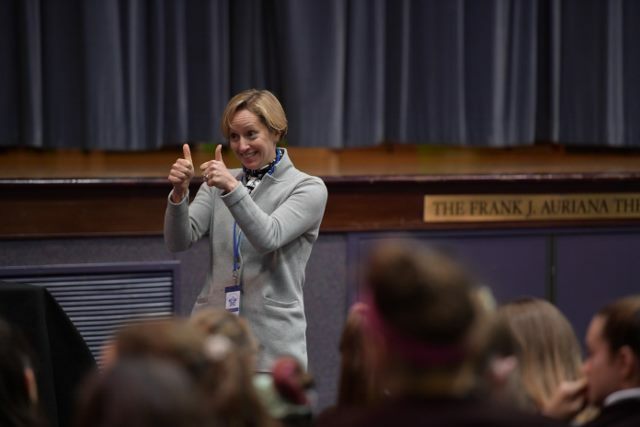 This event was part of Ursuline’s Distinguished Speaker Series 2018-19. We thank Dr. Damour for generously sharing her expert advice. In each session, Dr. Damour’s perspective was clearly that teen age girls are amazing as they go through these stages of normal development.